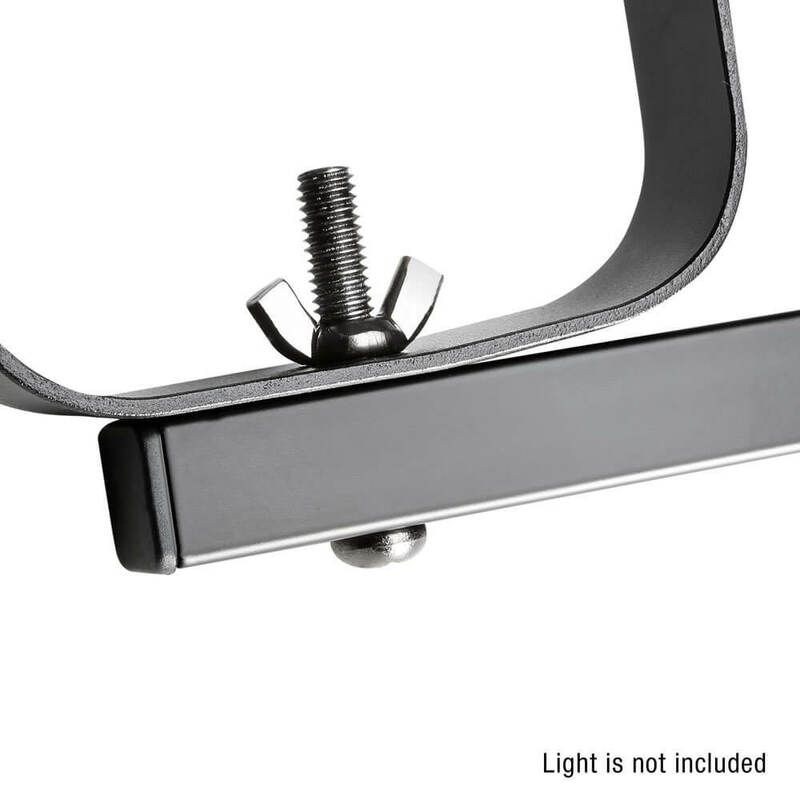 This square T-bar fits onto all lighting stands with 17 mm sockets and is a direct replacement for our AH-Stand SLS6. 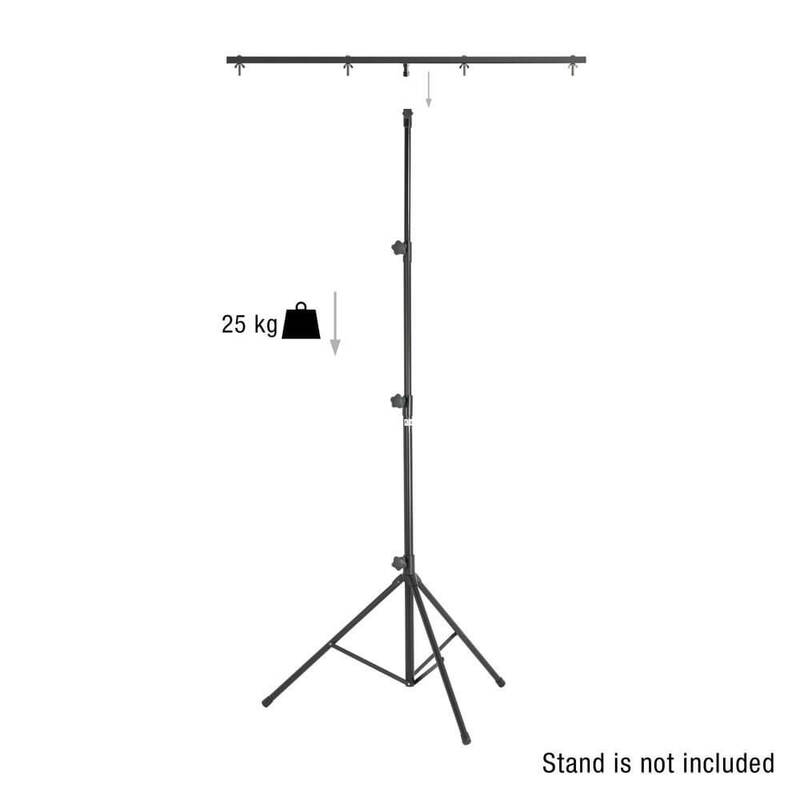 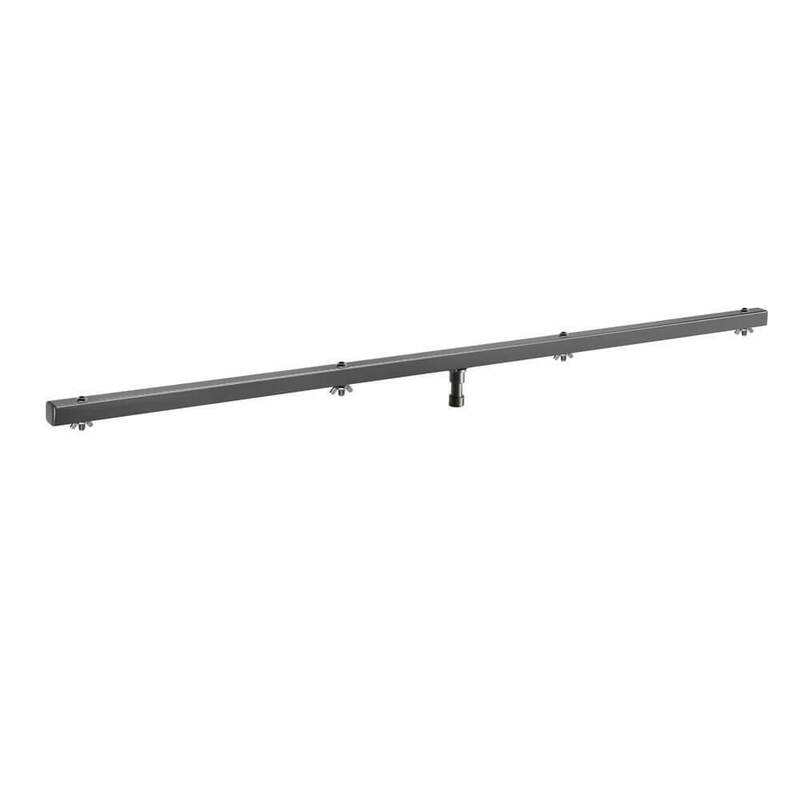 It features 4 fixture mounting points and holds up to 25 kg evenly distributed. 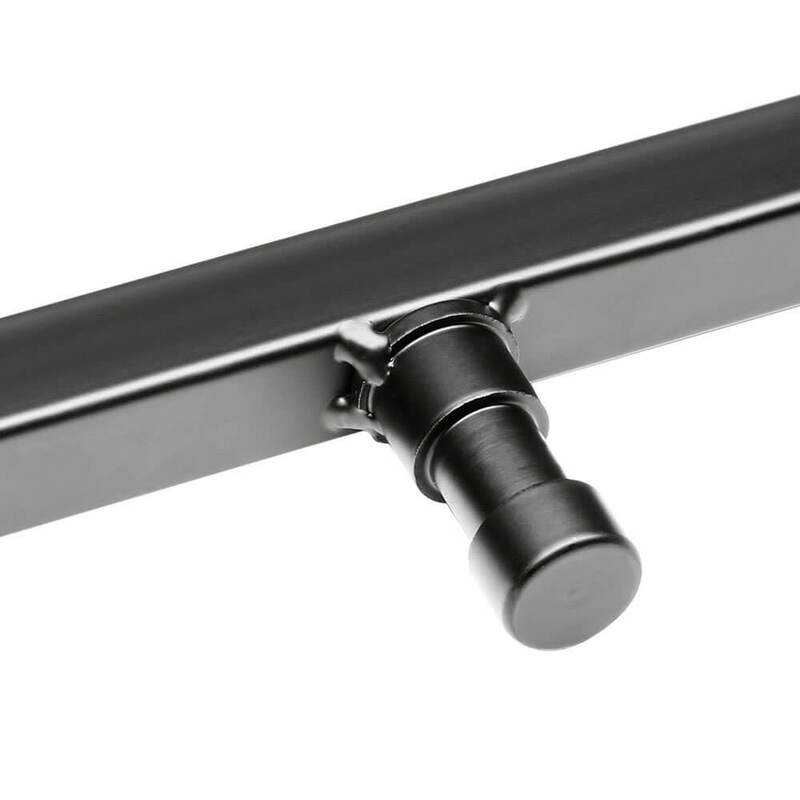 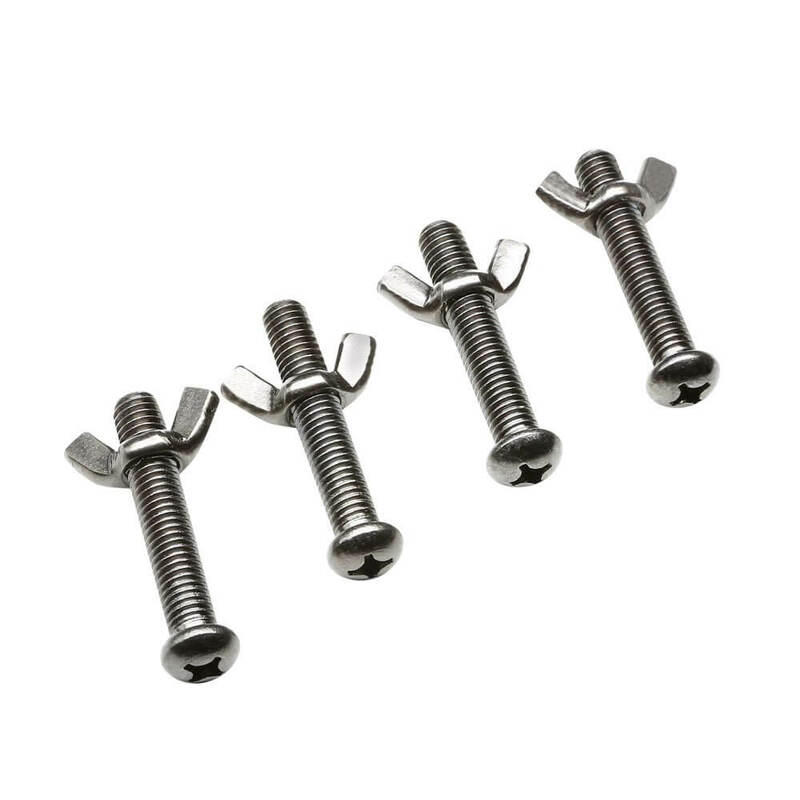 The 92 cm T-bar comes with a set of matted M8 x 45 mm bolts and wing nuts.